You already have thought to yourself, it’s about a time to get a promotion, haven’t you? Or you have already said to yourself, that it’s about time to receive an offer to a new aspired job that you would much more enjoy doing, haven’t you? And you have been wondering, why others are getting those promotions or new job offers but not you, haven’t you? Well, if this is you, then, I’ve got something for you! 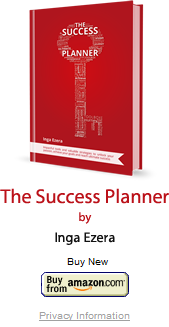 It’s Career Success Formula that will help you get your dream job elegantly and confidently. It can be tricky to obtain the clarity – what to do and how to get to that desired career destination. Without clarity to what is the Career Success Formula you need to follow you will have no chance in the world of career success! You may keep wondering why your desired job is given to somebody else. Or why you keep running after job ads with no success in getting those jobs. When you follow the Career Success Formula, its actually much easier to get what you want out of your career progress. By investing a bit of effort and thought process to follow the Career Success Formula, you will be amazed how the new job opportunities come to you instead of you running after the job ads. Share your message to the right audience and enjoy the job offers!